Ernest Rutherford suggested that the difference in the abundance of the naturally occurring isotopes of uranium was due to their different half lives. He assumed that the two most common isotopes were originally found in equal abundance on earth. The reason we see less 235U and more 238U today is because the former decays faster than the latter. Given this, he made the first radioisotopic calculation of the age of the Earth in 1929. Determine the age of the Earth using Rutherford's method and contemporary data, then compare your results with the currently accepted value of 4.55 × 109 years and discuss. 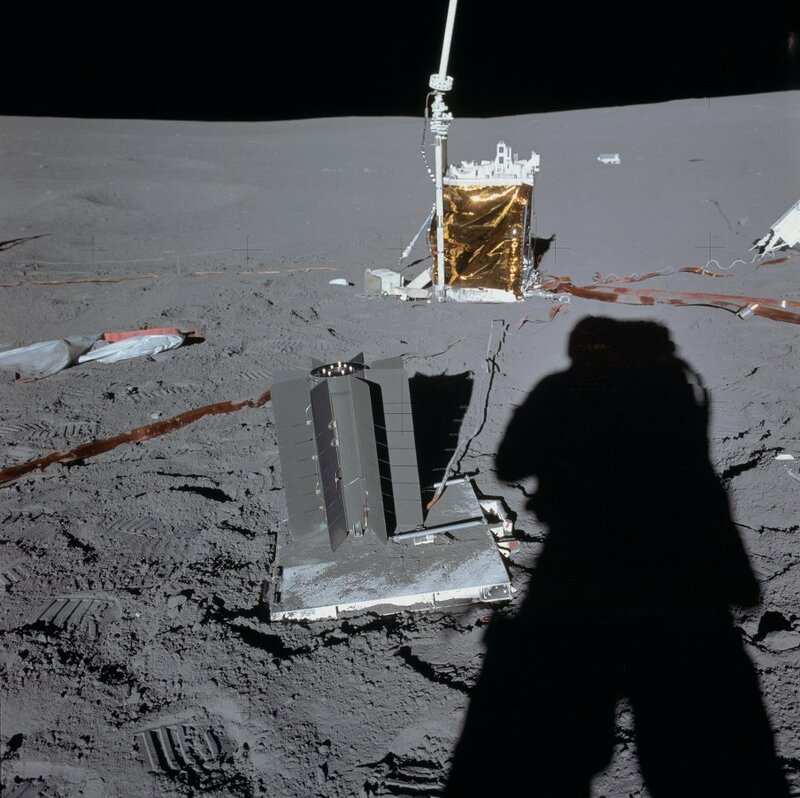 When the Apollo astronauts landed on the moon they left behind equipment to monitor such things as the moon's internal temperature, its magnetic and gravitational fields, seismic activity caused by moonquakes and meteor impacts, and the moon's extremely thin atmosphere. Known collectively as the ALSEP (an acronym for Apollo Lunar Surface Experiment Packages) these devices were powered by a small and simple nuclear power plant called a SNAP (an acronym for Space Nuclear Auxiliary Power). A SNAP generator is basically a can of plutonium 238 dioxide surrounded by radiator fins with thermocouples in between. The difference in temperature between the decaying plutonium (600 ℃) and the the radiator fins (275 ℃) produces a voltage across the thermocouples that can be used to generate electric current. The whole contraption is about the size of an office wastebasket and with no moving parts is reliable for very long periods of time. the power of the generator on the anniversary of the Apollo XIV mission from the day it was turned on until its centennial.